It's rare for Palma Violets and NME not to be uttered in the same breath. They practically go hand in hand, the magazine labelling the south London band's debut single Best of Friends the best track of 2012 and hyping their sound to stratospheric levels. Or should that be catastrophic levels? The band were never going to be able to live up to such lofty expectations. If anything it says more about the desperation of NME, clinging on to the hope that one day indie rock might make a credible return to prominence. Judging by '180', it's unlikely an indie rock comeback will be happening anytime soon. But take the album as a singular entity, away from its media context, and what exactly is going on under the hood? What's immediately apparent is the low-fi production. With their live shows almost universally praised, producer Steve Mackey has sought to capture this on the record. Scuzzy, jangling and heavily reverbed guitars dominate the sound, paired with gruff vocals and glued together with organ. The album has a rough, unrefined quality, which is a perfect description of the band themselves. Some will love the youthful energy on offer, '180' capturing the sound of a band in development with some exciting moments to latch onto. Others will hate its haphazardness, diminishing it to nothing more than kids thrashing around in a garage. In truth, '180' sits somewhere in between. It certainly lacks focus and depth. The songs centre on teenage pursuits, complete with hackneyed lyrics (who else would dare write a song called Chicken Dippers?! ), yet somehow the band's untouched naivety sort of works. Having only been together for sixteen months, their lack of experience is forgivable. What's less forgivable is the utter unoriginality of their sound. Take elements of every indie rock and brit-pop band you can think of and '180' would be the result. 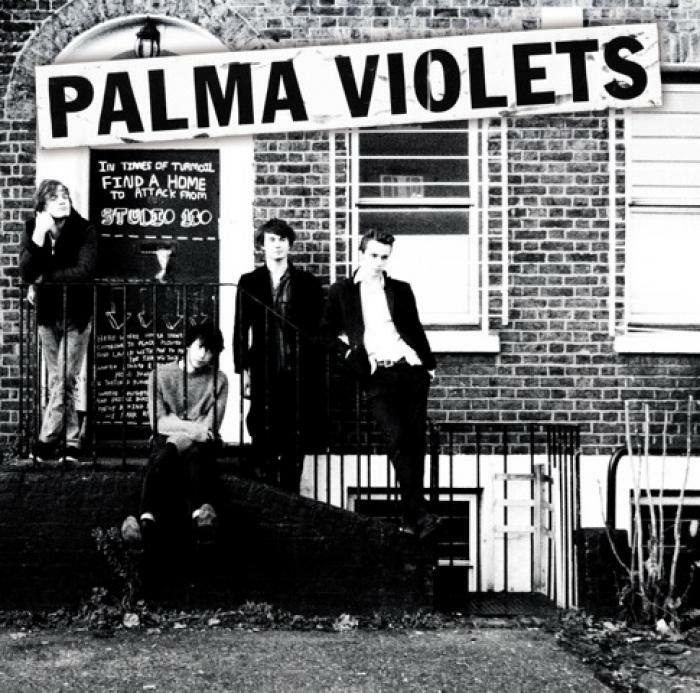 Palma Violets stand out in today's musical climate solely for their bullishness in refusing to try anything new, a band stuck absolutely in the past. If they wish to progress forward, they need to break the shackles of retro novelty, or risk becoming another victim of the NME hype machine. It'll be like Brother all over again. Listen: '180' is available now. Watch: Palma Violets are touring extensively worldwide in the coming months.